Seven years ago this month, I took a chance and ran off to the sheriff to get married. After tirelessly caring for everyone else, I finally decided to grab some happiness for myself. Things couldn’t have worked out more wonderfully. If I had to make the same choice today, I’d take that leap again – without a doubt. January is such a great month for new beginnings. It’s also a time to challenge ourselves by thinking of taking chances. It doesn’t have to be now or next month even, but I’m hoping that sometime during this year, we’ll all take a chance by doing something special for ourselves. When you’re in the role of mother, caretaker, partner or helpmate, it can be hard to focus on anything other than giving. Though it’s important to recall that we often have more to give when we’ve stepped back and taken a little for ourselves. When considering New Year’s goals, don’t neglect to think of yourself. If you’ve always wanted to paint, sign up for a class. If you’ve yearned for a session at a spa, book one and make it happen! If you’d like just one day to yourself to shop, have lunch, or see a movie, explain to your family that this is what you need to help revitalize you. Then, rinse, lather, repeat… as often as needed throughout the year to keep your batteries charged and help maintain a healthy outlook that balances self-care with caring for others. For when we give to ourselves, we increase the wealth of what we can contribute by being happier, and more deeply enriched, people. So, what will it be? What will you take a chance on in 2015? If there’s something you’ve always wanted to do, or hoped to learn, you know what they say… There’s no time like the present! New York Times and USA Today Bestselling Author Ginny Baird writes short contemporary romance and romantic comedy. 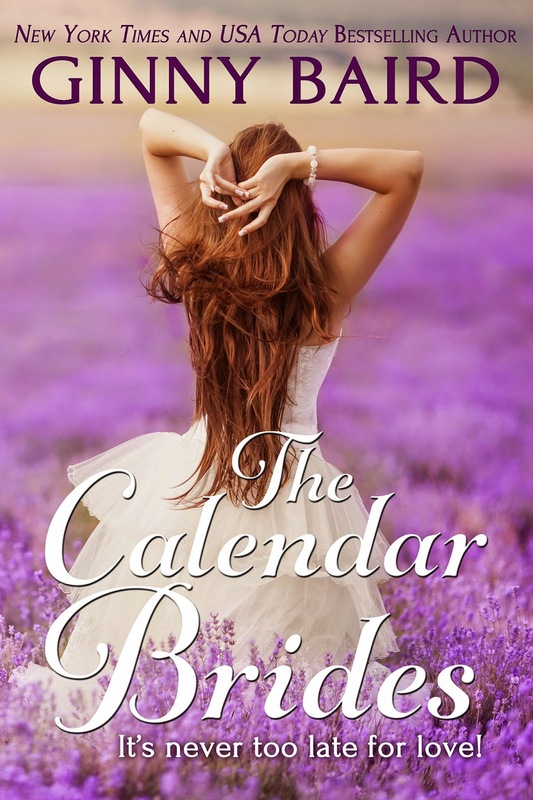 Her latest release is The Calendar Brides, a story in which twelve granddaughters plan to send their dear grandma back to Italy to reunite with her long-lost love. Find The Calendar Brides online at iBooks, Amazon, Barnes & Noble and Kobo. This is such great advice, Ginny! Happy anniversary, and thank you for sharing your story. Happy anniversary, Ginny. I'm so glad you've found such happiness. Great suggestion for 2015, to do something we've always wanted to do. My plan is to take a painting or drawing class and I plan to sign up soon. I'm a terrible artist, but I love art, and my motto this year is 'Be Fearless'. What a wonderful goal, Patricia! Have fun with it, and happy painting! Stepping out and taking a chance on something that you've always wanted to do can make all the difference in the world. I quit my job a year ago and started writing full-time. No regrets here! Happy Anniversary. Thanks for the reminder. At my age, I sometime forget that that option is still open to me; life is far from over. Wow, what great advice. Happy Anniversary and here's to another 7! Lovely, inspiring post, Ginny! Happy Anniversary to you. May your year be filled with wonderful opportunities to "step out" and take a chance. Happy Anniversary. An elopement? Sounds perfect! Thank you Ginny for giving the nudge I needed. I am taking a chance and publishing solo again. Happy Anniversary. I love January. My son, husband and me have birthdays in January.